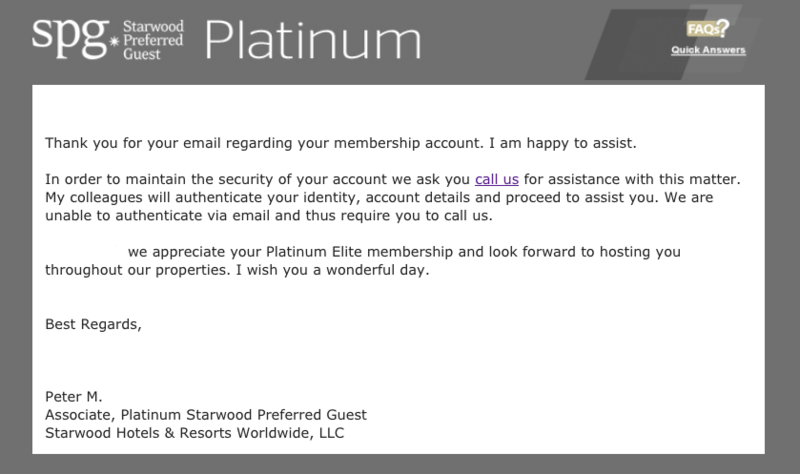 Update On SPG Legacy Qualification Criteria & Account Status (Incorrect Information From Marriott Customer Service) – It Gets Worse! Last week we wrote about a readers comment that Marriott provides customers with inaccurate information regarding status qualification by SPG legacy rules and the current account status. After we heard the same complaints from several members I decided to start my own inquiry as I have the same problem and would need a definitive update from Marriott/SPG how many stays are currently credited. Let’s keep in mind this whole disaster started when Marriott yanked the stay counter from the website and switched over to nights only, a step that was totally unnecessary and created chaos. You can access Marriott’s web page here. 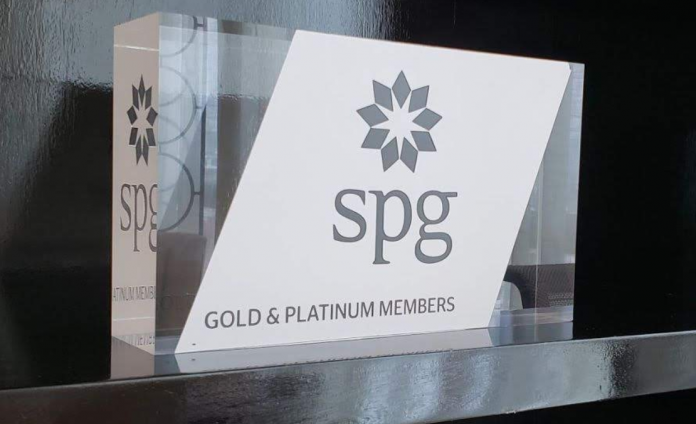 John wrote about the SPG Legacy Qualification in June (see here) and then last week there was this Reader Question about the nonsense replies current coming from Marriott. The T&C are crystal clear and there is zero room to wiggle or misinterpret – provided one actually read them which doesn’t seem to be the case with Marriott representatives who answer customer inquiries. Thank you for taking the time to reach out to Marriott Customer Care today. You currently have 26 nights and 12,932 points. Please note it is nights and not stays. 2) It’s not acceptable that the rewards support desk can’t properly answer my question how many stays there are in my account. The indicator on the app/website has been discontinued as well. You have 27 stays at SPG properties in 2018. Beep – Unfortunately not only wrong but also impossible. I only have 26 nights including at least 5 from Amex so something isn’t right. Try again? in that case the account should have already been re-qualified and upgraded for another year of Platinum Status based on 4.2.b. (Legacy Qualification) of the T&C. This hasn’t happened yet. Also keep in mind only Legacy SPG brands count (even though I had no Marriott brand stays under the account XXXXXXXX, those are all under my Marriott account which I haven’t merged yet). I’m also not sure that this number is correct because I currently have 26 nights, some of these stem from American Express. It doesn’t add up! Obviously being very close to the required threshold either way I don’t want to be in the situation where I have to miss the status re-qualification because of a misquoted amount of stays and a missing indicator system. I hope you understand my desire to have a quid pro quo on this matter and I have to insist this being delivered even though I know the company has certain problems at the moment. If I indeed have 27 stays then please have the account’s Platinum status extended per T&C. To make this clear: A message from the logged in account and the registered email address on file can not be authenticated and isn’t sufficient to tell a customer how many stays he currently has? Indeed a matter of national security dimensions. But let’s play ball and call. After waiting for 27 minutes the answer of the representative was: We can’t identify the amount of individual stays at the moment, sorry. LOL! I can’t decide if Marriott is serious or if they’re actually trolling people. Nevertheless the company has become a pathetic joke and the preposterous answers their ‘support’ provides can’t be taken serious. They should just shut it down as the department does more damage than good. We’re now 4 months into the merger process and this is the result? Unfortunately the accounts became so polluted in terms of entries (if you can see any activity at all but at least mine has been restored since mid November) it’s impossible for me to actually count individual stays as some (1-2) were non-eligible. Essentially I wanted to clarify if I need one more stay because under the current conditions I have no intention of giving Marriott any more business than absolutely necessary. It won’t be a problem to do 5 extra stays that would either put me to 25 or 26, I just did 3 stays this weekend in Kuala Lumpur, but this was a good demonstration in what disarray Marriott is, unable to provide even the most basic support. I’m going to Germany next week and to Shanghai end of December so 2 more stays won’t give me a headache but good job Marriott, keep it up! Previous articleReader Question: Lufthansa Is Selling Fake First Class Seats On Domestic Flights, What’s Up With That?